We loved the Vespa when it was launched. We loved it when we first rode it. We loved the 125cc motor that had enough pep to keep a steady 80kmph on the highway. We loved the retro-meets-modern design. We loved the Italian lineage it came from. We loved everything except the price and the braking. We'll let the price bit slip. But the braking, we just couldn't get over. 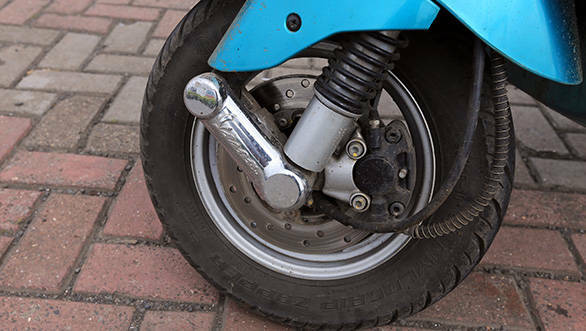 The drum-brake version took all of 41.09 metres to come to a halt from 60kmph. The brake lever itself felt like a block of wood and when you did manage to reduce velocity, the tyres would give up. Not so premium braking for a highly premium scooter. Piaggio has addressed exactly this with the new Vespa VX. It gets two new colours, optional beige seats (standard on the red and dark blue colours), a bigger grabrail at the back, grippier tubeless tyres and most importantly, a disc brake at the front. The results, I must say are quite amazing. 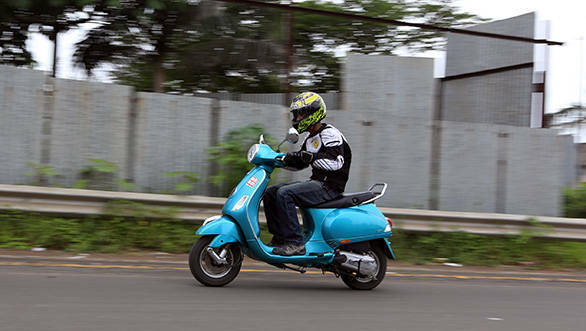 The Vespa now comes to a halt from 60kmph in a mere 2.1 seconds within just 18.6m. That is even better than what the Aviator did with its disc brake (21.2m). With the update, Piaggio has fixed one of the bigger problems the Vespa had. Now, in our opinion, the only issue with the scooter is its price. 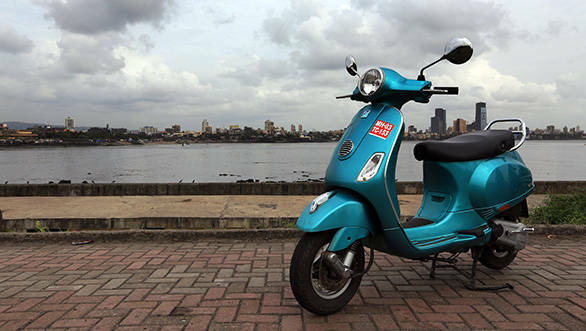 With a price tag of Rs 72,368 (ex-Mumbai) it is a little over Rs 4,000 more than the regular Vespa. But from what we've seen so far, the price has affected the Vespa's sales. Their plan to pitch it as a premium, lifestyle product has been only moderately successful so far. we still love the Vespa, perhaps more so with the disc. The price though? Back to square one.